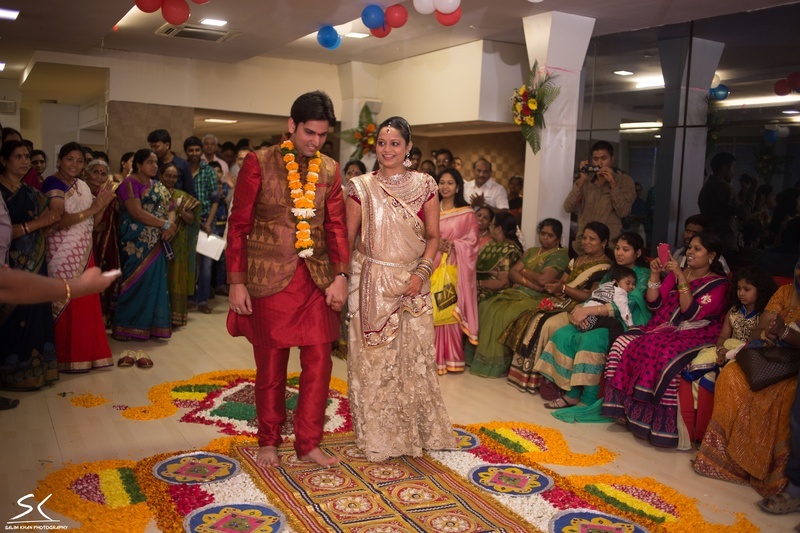 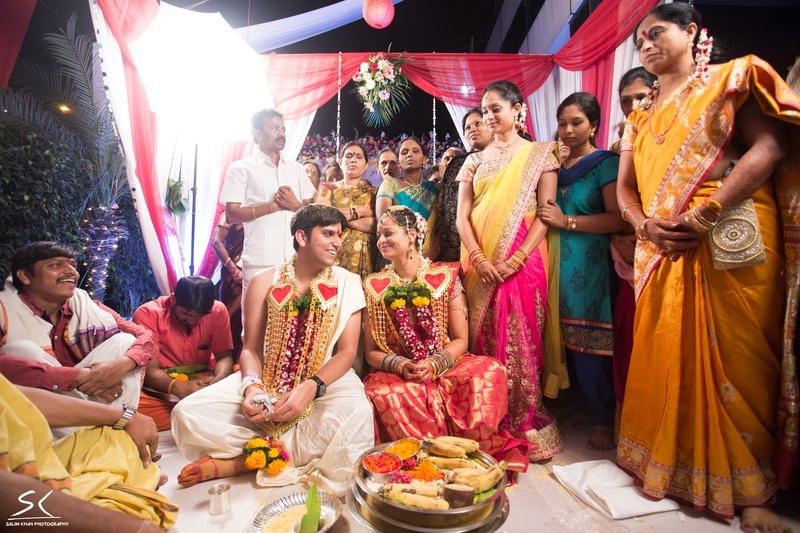 An All Flavour Tamil Wedding Ceremony. 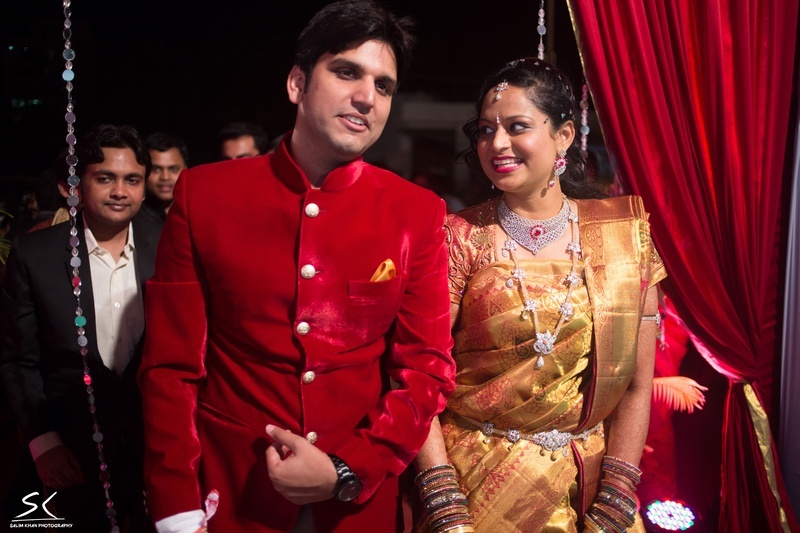 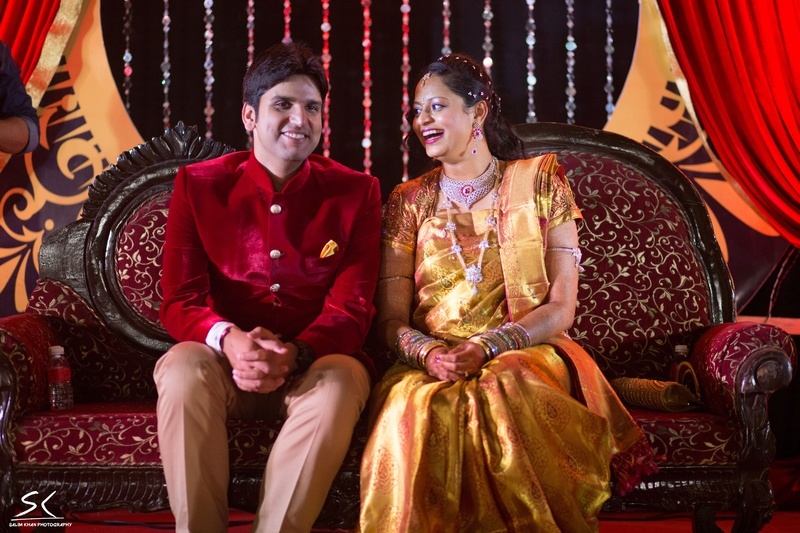 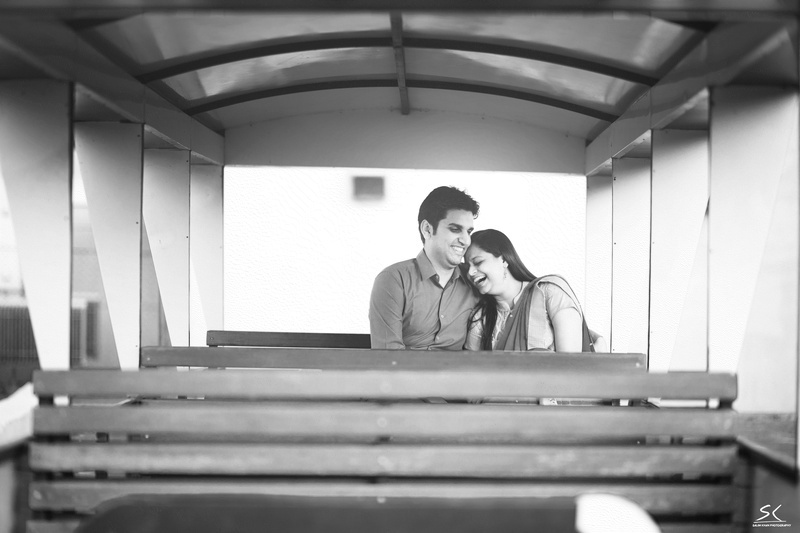 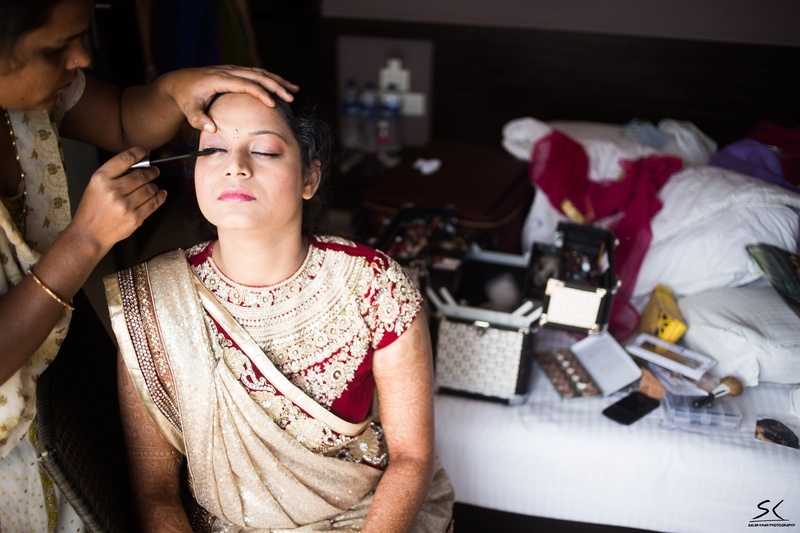 Sireesha and Harsh’s wedding celebration was adorably cute in its own sweet way. 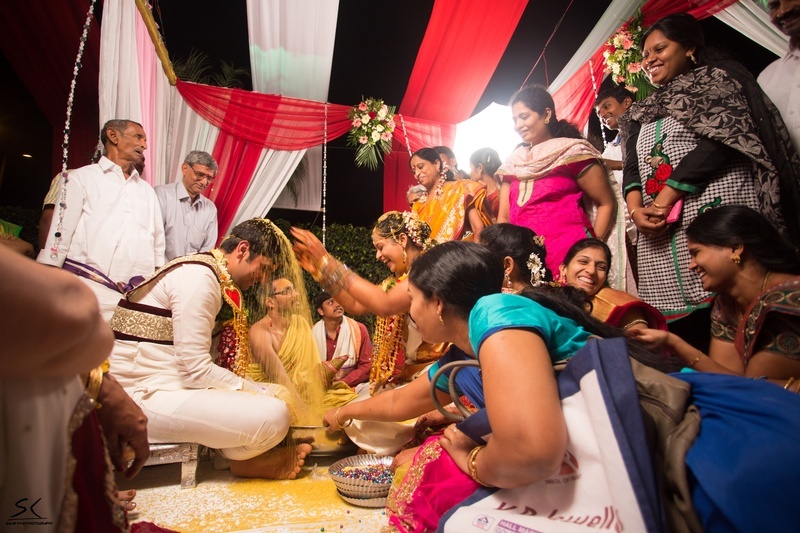 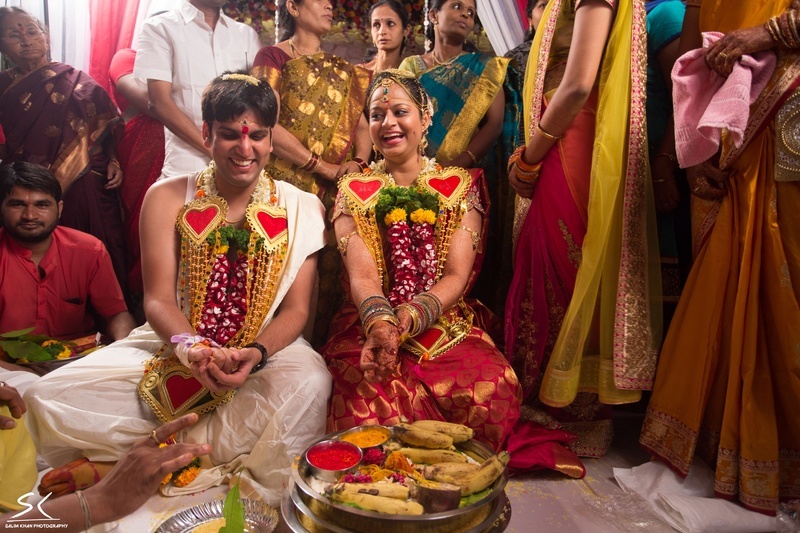 What started as a typical traditional marriage, transformed interestingly into an atmosphere with fun-filled rituals, grand cake-cutting ceremony and a romantic reception under the moon. 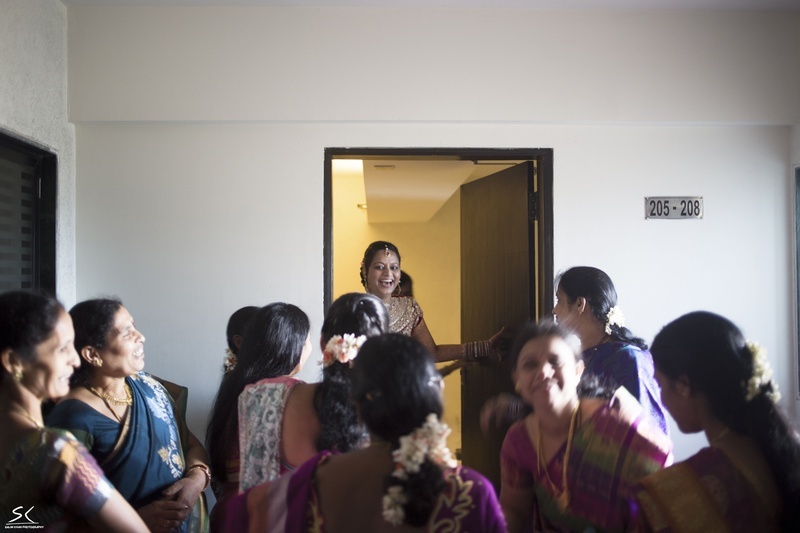 Usually during the wedding, bride’s entry takes all the lime light, but this time it was the groom who got everyone hooked with his dramatic entrance. 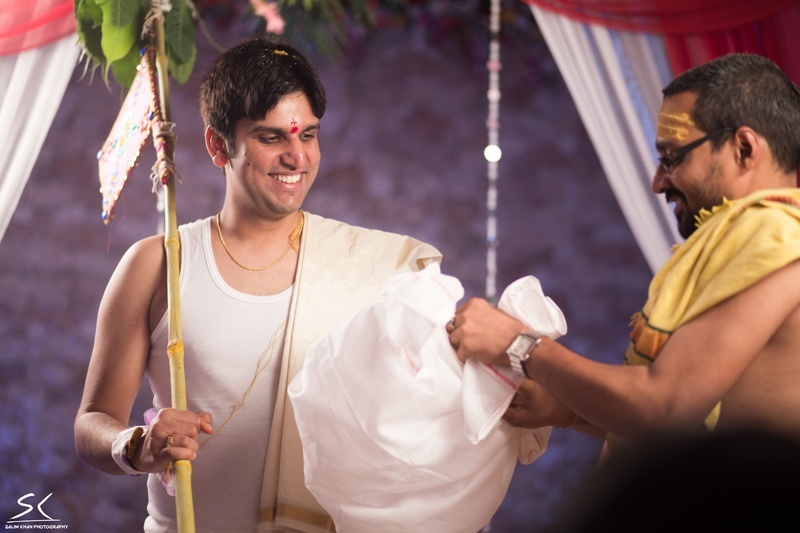 He entered the mandap holding a long cane stick in his hand and wearing a white vest with a cream shawl. 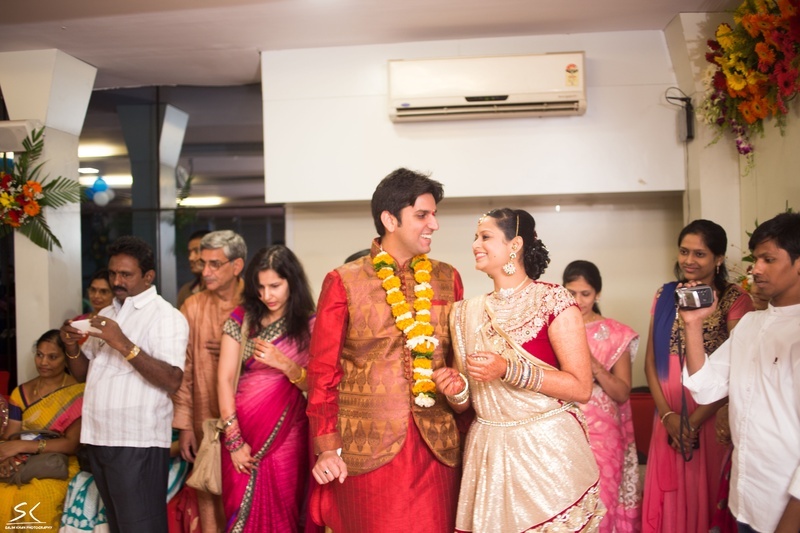 Kanjivaram saree never looked so impressive as it did on the bride. 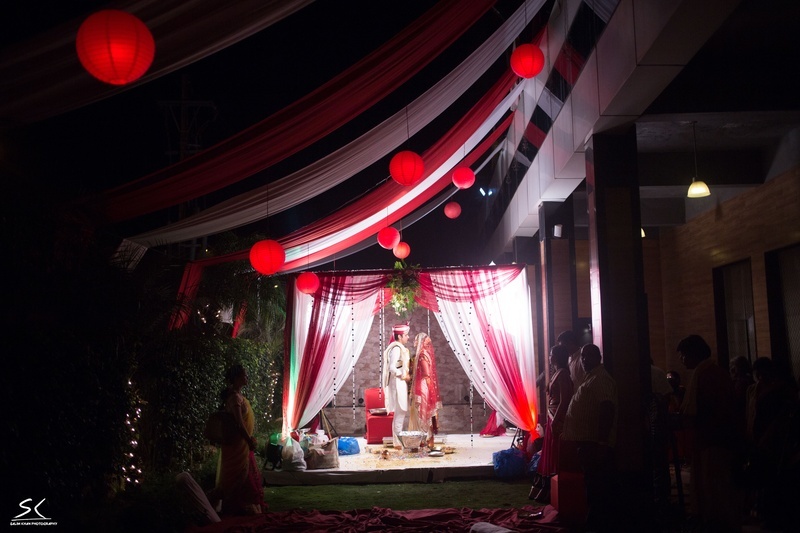 The cosy wedding mandap was cornered towards the extreme end and had red and white drapes that gave a romantic feel to the entire ambience. 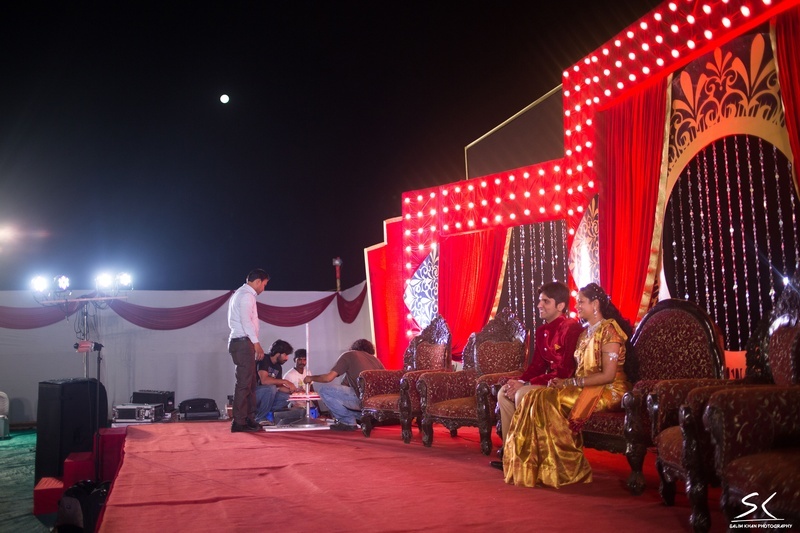 The lighting, red lanterns and white halogens added an intimate touch to the saat pheras and other rituals. 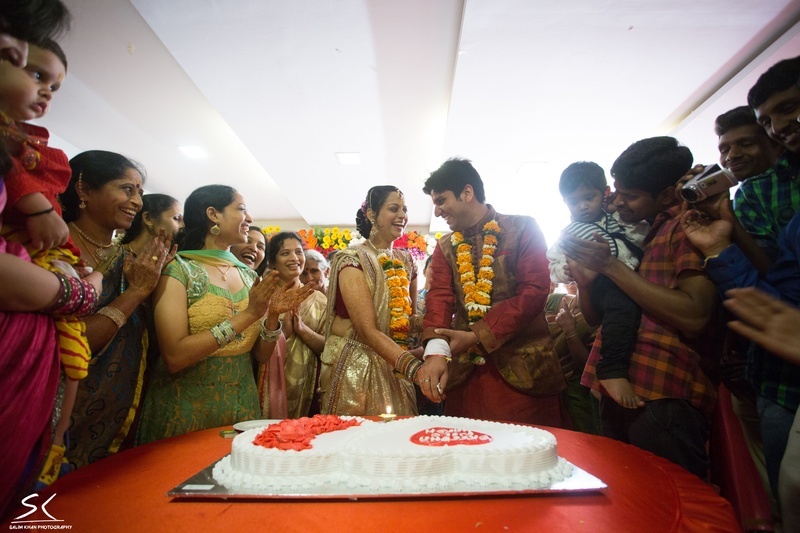 Incorporate a preferable prop into various aspect of your wedding, just like this couple who had impressions of heart in their wedding cake and garland.